† Gibbons lists the early postage dues as SG-D1 to D5 and so the first stamp is SG6. ‡ Scott notes that "The 5c on 4c (French Colonies No. 40) was not regularly issued. Three copies exist. Value $35,000". Guadeloupe is in the West Indies and was discovered by Columbus. 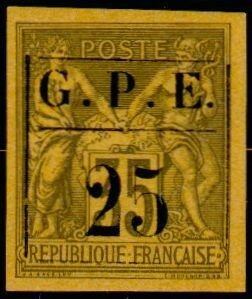 Prior to the 1884 issue, Guadeloupe used French stamps from 1851-53 and then general French colonies issues from 1859. In 1876-79 it issued a series of its own postage due labels, the 25c Sc-J1 SG-D2 being the first. 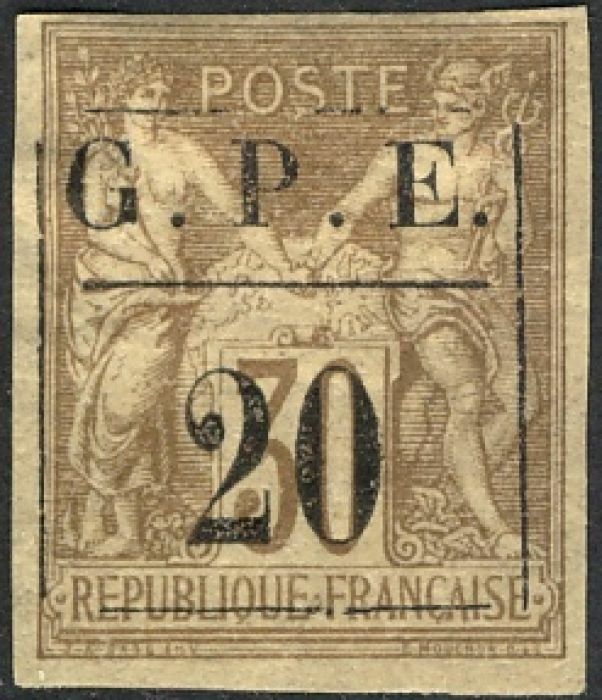 The 1884 issues were surcharged French colonies stamps. 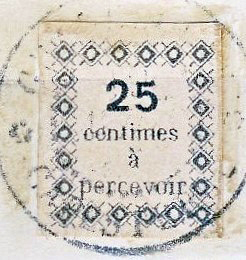 The final set of Guadeloupe stamps was issued in 1947 and as supplies were exhausted regular French stamps were substituted.